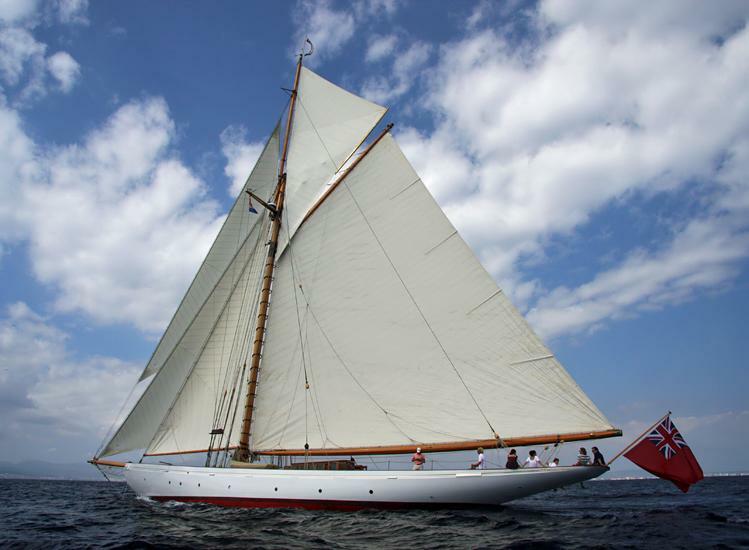 Merrymaid s a 100 foot gaff cutter designed by Charles Nicholson and built by Camper and Nicholsons in 1904. Having spent many years in a mud berth in Essex , she is now undergoing a thorough restoration at Southampton Yacht Services. Initially, this involves renewing most of the centerline structure - half of the stem, the keelson, the stern knee and the stern post. To allow this to happen, a specially constructed steel cradle has been put into position to support the hull and keep it in shape. When this, and other hull work, has been completed, the interior will be completely fitted out with new teak joinery, as well as new engineering and electrical systems.